The Magno Champion pool table has been designed to fit into any commercial environment, boasting a large variety of high quality Formica finishes and Atlas American speed cloth's. Suitable for people of all ages and abilities who are passionate about the game. The table has been fitted with a luxury one piece diamond-honed slate, designed to not only give a perfectly level playing field, but is also guaranteed to last for years due to it's excellent durability. What's more a specialist levelling system has been inputted, allowing the table to be levelled on what ever surface it has been placed. 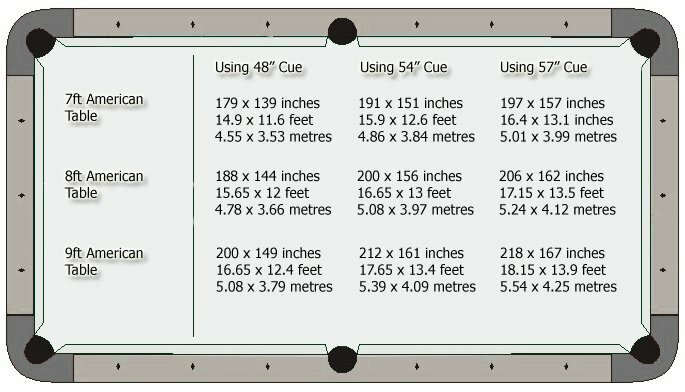 Professional ProActive cushions have been specially fitted onto the table surface that not only provide excellent ball rebound, but also maximum accuracy. In addition tempered aluminium scratch and mar resistant rails aid the cushions in providing a fast, yet accurate game. A first class table that even features a cushioned ball return system to prevent balls becoming wedged inside the table. One triangle and one 9-ball diamond. Two cue rests – one spider and one X-head. One box of 12 cue chalks. Ten spare 35mm table spots. One bottle of Aramith ball cleaner. You can choose to have your Magno Champion pool table fitted with an Atlas Green, Black, Blue, Purple, Burgandy or Red cloth as standard. Atlas cloth is an American speed cloth, designed to increase ball speed and accuracy during game play. When choosing your pool table it is important to consider the site or room you wish to place it in. It is recommended that there is enough room to fully extend the cue from the edge of the table to the wall. The dimensions below are ideal sizes. If space is a bit tight why not consider purchasing a half size, or "junior" pool cue to help with any tricky tight angles. Liberty Games can also offer a cloth branding service. The Magno Champion can be fitted with a custom colour cloth or a cloth with a specific design or logo. The cabinet of the table can also be fully branded with custom colours or links. Please contact Liberty Games for more information on this service. The Magno Champion pool table is supplied as standard with 2 cues, 1 set of pool balls, a triangle and chalk. There are many additional pool table accessories available to augment and increase your enjoyment of your pool table. Additional cues, different colour pool balls, cue racks, cue rests, pool table covers and pool table brushes are all available from Liberty Games. The Magno Champion is bespoke built to order depending on your choice of table size, finish and cloth colour in an Italian based factory. Slate Bed Pool Tables are built to order - a process can take between 4 - 6 weeks depending on the model (please refer to product listing for more information). Once the table is ready it will be collected by our courier and delivered to the customer within the following 5 to 10 working days. Installation of your table will include bolting legs to table, fitting cushions to rails, placing the slate bed into the table cabinet and ensuring all pockets and ball return gully's are free from obstruction. Our fitting team will also ensure the playing surface is completely level. For deliveries up or down stairs please contact Liberty Games before placing your order so that we can prepare a quotation if necessary. We will require detailed measurements of stairwells and any landings. Free delivery is to UK mainland only. For areas in Cornwall, north of Glasgow and overseas please contact Liberty Games for a shipping quotation before placing your order.